Whenever I visit Olio the staff are always extremely welcoming and friendly. They are just out of the main food area of South bank but in close walking distance from the cultural centre, convention centre and South bank train station. 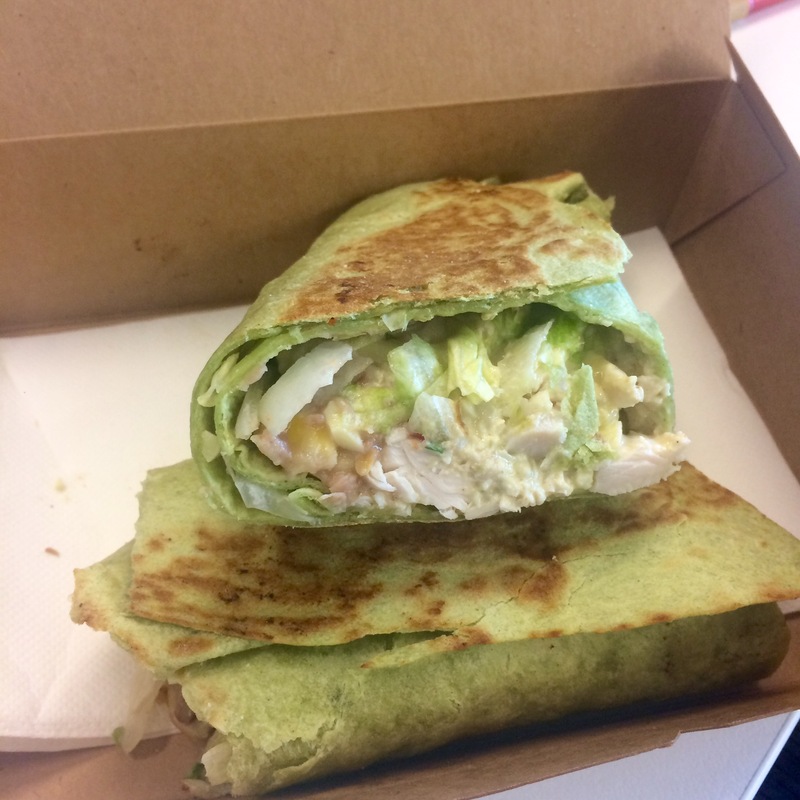 On this visit I ordered the Chicken, Avocado, Corn and Salad Wrap which came on one of those green spinach wrap breads. I got it toasted at no extra charge. It was delicious the flavours worked really well together. The rest of the menu is a combination of rolls, salads and basic cafe style food. They have gourmet options at affordable prices. I had a skinny chai latte to go which was sweet and a good temperature. As I mentioned before the staff are always accommodating and friendly. They know most of the regulars by name and always make the extra effort. Olio is located in the bottom level of the convention centre on the Grey Street side. There is lots of outdoor and indoor seating available. As well as a good take away area for coffees and snacks. Overall: Olio is a great cafe. They offer the basics with a twist and are always consistently good. I am going to rate them 7/10.